In order to provide an increased level of durability, performance and safety, Super Heavy Duty series has a safe kamina lid technology with a central degassing system and ﬂash arrestor. 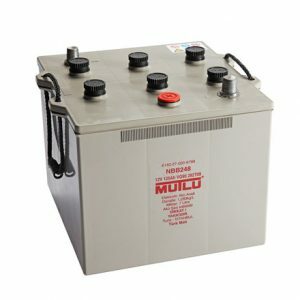 This group of batteries are manufactured with SFB technology and designed to cope with the demanding energy needs of commercial and heavy commercial vehicles. Mutlu Valf Regulated Lead Acid (VRLA) batteries contain gel electrolytes which are accepted to be the cutting edge lead acid battery technology. 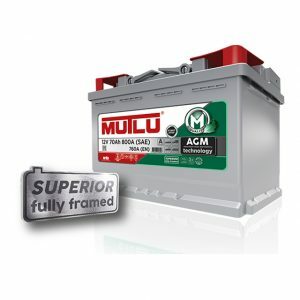 As Gel batteries reprocess almost 100% of the gas generated during operation and this feature allows indoor area usage and creates more environmental friendly batteries. These batteries empower your ﬂeet with their high performance while reducing your costs thanks to their longer life cycle. With minimum discharge feature, they enable a longer shelf life and are suitable for seasonal stand-by periods. Full energy and solar batteries are critical power sources for applications requiring longer operation periods. 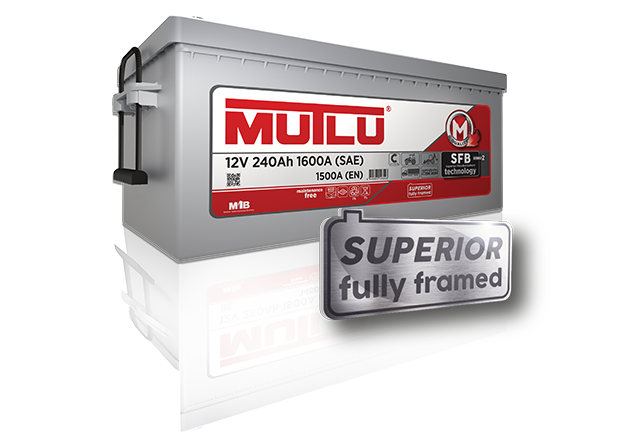 With reinforced interior design and high charging levels, Mutlu EFB batteries are designed for longer cycle life for cleaning machines, electric vehicles, alarm and security systems, solar power systems, disabled chairs, elevators, pallet lifting equipment, golf carts, camper vans and UPS. Up to 50% deep discharge in applications requiring higher power, EFB batteries for marine applications do not require maintenance due to lower water loss levels. SFB Series batteries are developed for changing needs of water transportation vehicles. Marine group batteries are equiped with spill-proof technology and have central degassing system and ﬂash arrestor. These maintenace free batteries consist of custom design silver additive grids and a special active material to maintain longer cycle life and higher cost saving. Minimum discharge feature delivers maximum shelf life and correspond to seasonal stand-by periods. 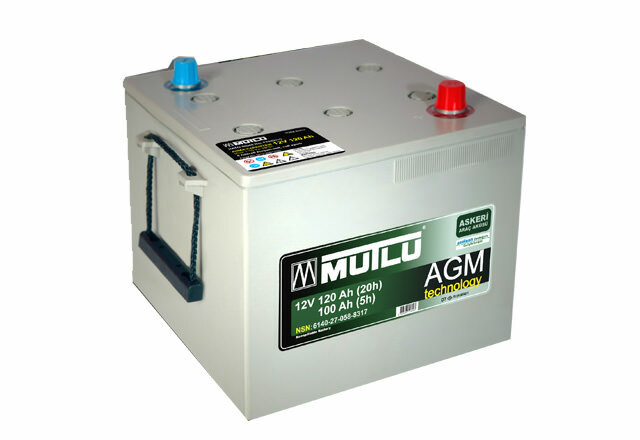 AGM type military batteries feature the VRLA system, the cutting edge of lead acid accumulator technology. Therefore they do not experience water loss and are fully maintenance-free. Tank and standard AGM types available. 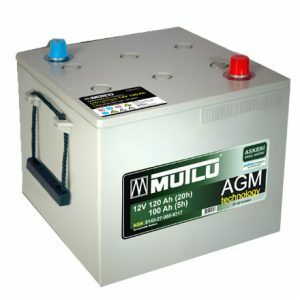 Our military grade batteries designed according to NATO VG 95282 standards have high starting capacities in adverse environmental conditions and extreme temperatures (-30°C/+50°C). 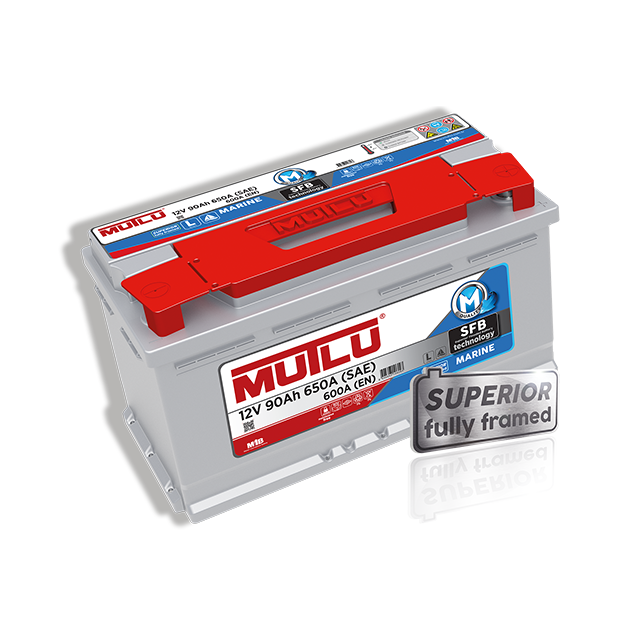 High quality VRLA (Valve Regulated Lead Acid Battery) type batteries specially developed to meet demanding needs of all START STOP vehicles designed to reduce fuel consumption and emission. All AGM batteries are products of long term practise and experience of Mutlu R&D and are entitled to take Mutlu Quality mark. 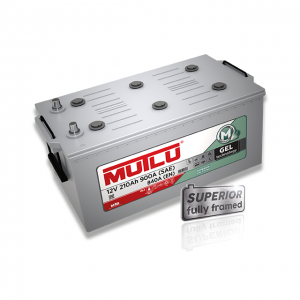 High quality ﬂooded batteries are designed to meet micro-hybrid battery needs for all START STOP vehicles developed to reduce fuel consumption and carbon dioxide emission. 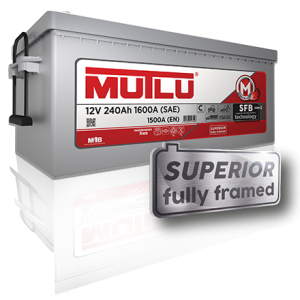 All EFB batteries are products of long term practise and experience of Mutlu R&D and are entitled to make Mutlu Quality mark. 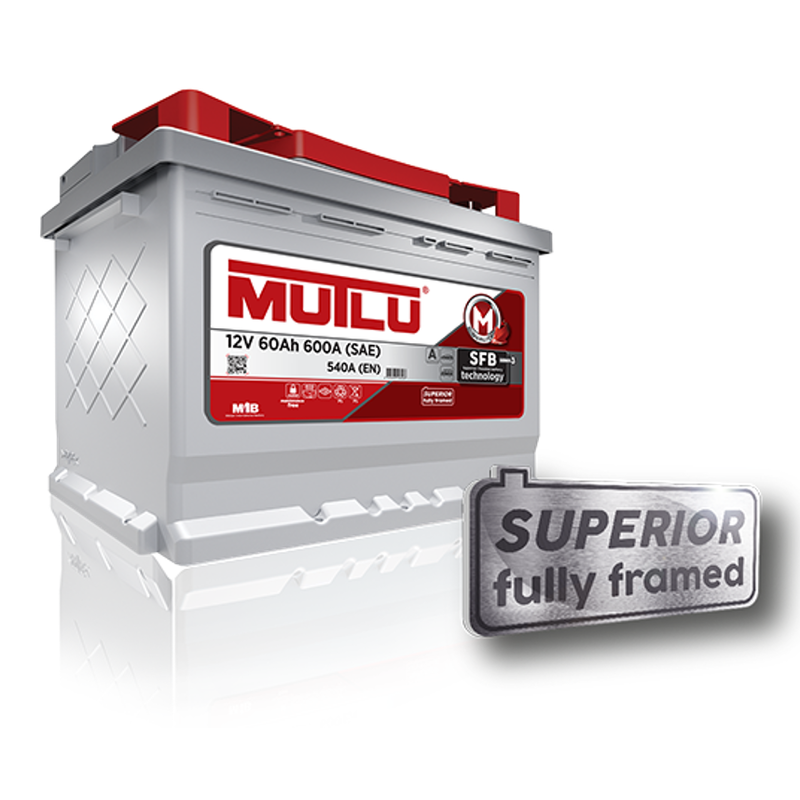 The Series 2 range has superior technology products suitable for high end vehicles. The Series 3 products are high performance batteries with extended life cycle and are perfect solution for vehicles with advanced energy needs. 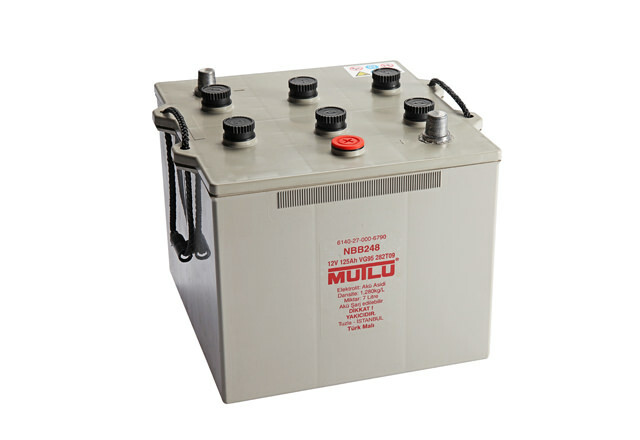 Batteries with ﬂat lid design, manufactured with SFB technology are designed to meet the power needs of heavy and super heavy duty vehicles. Under normal working conditions, Series 1 batteries offer the energy required by standard-type heavy and super heavy duty vehicles while ensuring the cost-effectiveness with its maintenance-free product features. 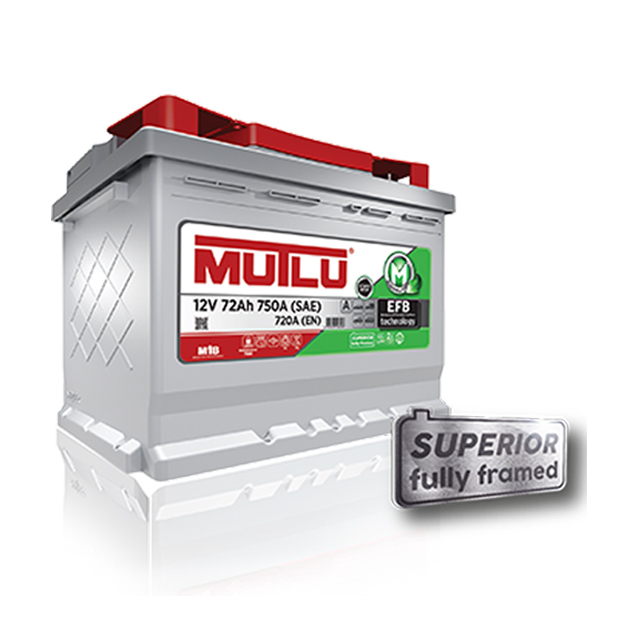 Ideal batteries with safe kamina lid technology, Series 2 group has a central degassing system and ﬂash arrestor. Designed to cope with the changing energy needs of heavy and super heavy duty vehicles which require a high performance battery.